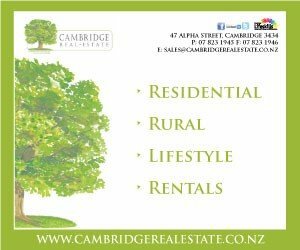 Friday night cricket at the Cambridge Junior Cricket Club is now in full swing at their new Vogel St premises. The Cambridge Junior Cricket Club is back into full swing for the year with summer cricket starting up in November at their new premises on Vogel St.
October saw the club move under the same roof as the Cambridge Junior Football Club, sharing their facilities and fields to enable cricketers to play at the one location, and helping the two clubs share maintenance costs and keep sport at the premises all year round. Several local businesses and the Grassroots Trust stepped in to help sponsor the construction of new pitches at the grounds, which were completed on November 7. 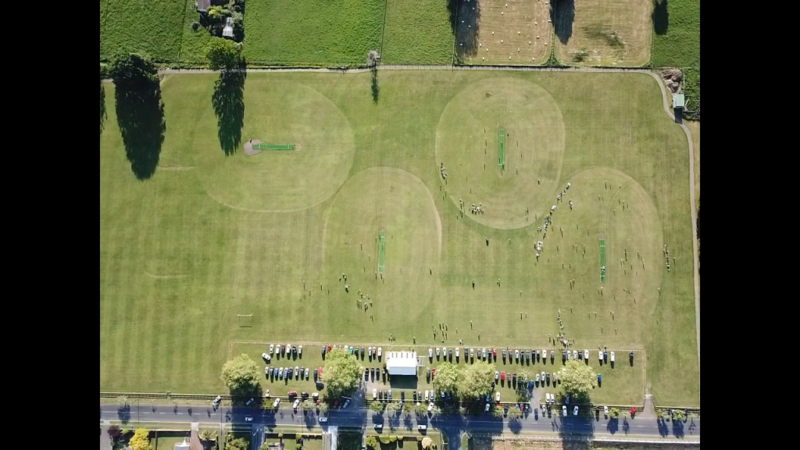 “We’ve been really lucky,” said Steve Carter, chairman of the Cambridge Junior Cricket Club, thanking the business community, the Grassroots Trust, the football club, schools, committee and club members for their support. 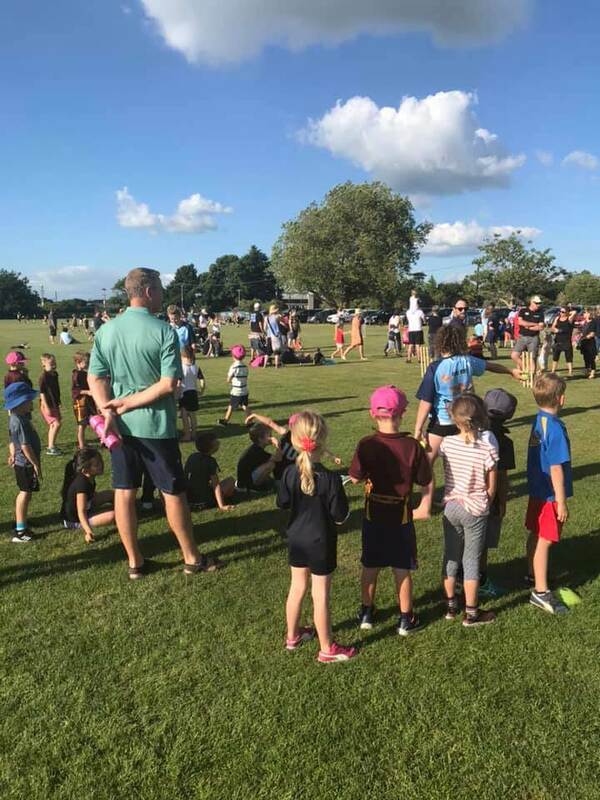 Around 200 kids and families turned out to the first Friday night cricket event on November 9, where 87 kids took part in skills sessions and 14 teams played cricket. The next day saw Saturday cricket hosted at the venue with about 70 players. Steve wished to thank project manager Kerry Johnson, the Grassroots Trust, as well as local businesses Electrix, Holcim/Allied Concrete, Waikato Aggregates, Online Contractors, PGG Wrightsons, Roderick Builders, Cambridge Hire Centre, Rob May Builders, Chris Webb Contractors, Waldron Builders, Waikato Ready Mix Concrete and Camex. An aerial view shows the new cricket pitches at the Vogel St sportsgrounds.